Would like info on doing my part and supporting the PGR and becoming an active member. I ride and I’m a Vet In the Sacramento area. Thank you for your interest! Keith, here’s what I would recommend. Go to Members -> Subscribe to Missions and subscribe to California missions. Watch for one in your area, and simply show up. Introduce yourself to the Ride Captain in charge, and let him know you’re new. You can also email the California State Captain directly at casc@patriotguard.org. Welcome to the PGR. Please email me at jmickeyg@gmail.com for information on missions in the Sacramento area. Napa valley, Honored to be a PG and help my fallen brothers! Hello! :) I initially joined as a member in 2009 and I’ve been awol for a while due to work and family commitments. However; I am now retired and ready to ride again. I live in the West Riverside area of Southern California. Here to support PGR’s mission and honored to be a member. I am also a proud new member. I am also in the west Riverside County area. I’ve been watching event postings of some my ridin’ buddies and decided to get involved in honoring others. I served 6 years in the USAF, 26 in law enforcement. Look forward to meeting others who appreciate the sacrifices made. 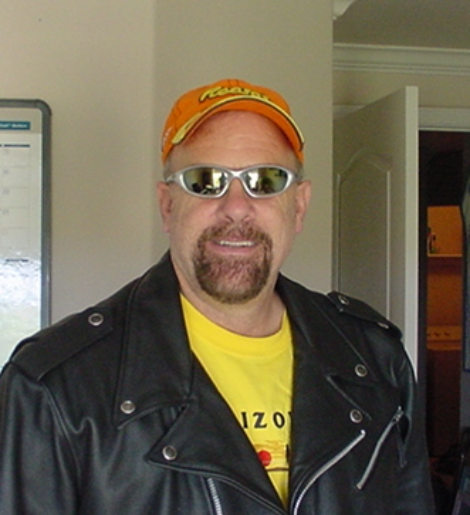 New member, I live in Simi Valley and am a member of the American Legion Post 484 and Chapter 484 American Legion Riders. US Navy bet 1960-1966 USS SAINT PAUL CA-73. DOB 10/26/1943 Retired. I joined on the recommendation of a fellow HOG Member. I love America and anyone that helps us be the greatest country that has ever existed. I live in Los Angeles near Westwood, and would be honored to ride on any missions. 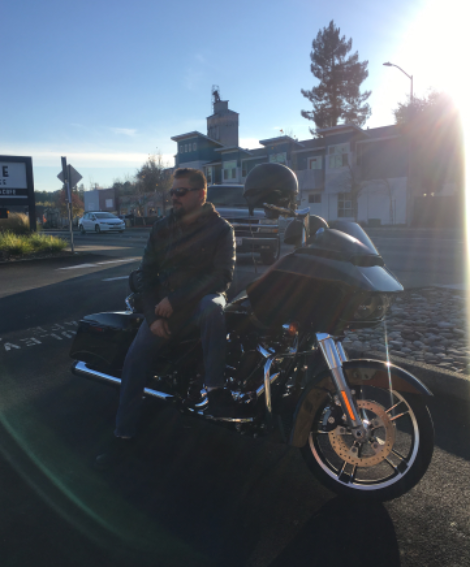 I am a Golden Gate hog member and have enjoyed doing support the troop type rides. I look forward to doing more rides with PG in the Bay Area. I am a proud new member in the San Gabriel Valley. I support our Military 100% and looking to give back. I look forward to helping the PGR wherever and whenever I can. 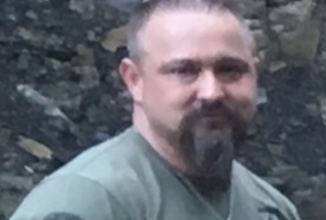 I am an Afghanistan (US Army) veteran and love motorcycles. I live in the Sacramento area, but I’m able to attend events throughout NorCal. Hello everyone, new member here. I live in Riverside, near Corona/Norco. I’m a veteran and a rider. I work full time, but whenever I can, I am happy to help as needed. I work Saturday-Monday, so I am available during the week. Thank you all in advance for any guidance provided to assist me with helping the mission. New Member, looking forward to giving back. Located in Westminster/ HB area, from Texas, used to long rides , great purpose. 47 yrs riding. New. Living in South San Jose/Morgan Hill Ca. Trying to learn the ropes. Greetings and welcome to all the new members of the Patriot Guard. It’s a great nation we have and it because of people like you. 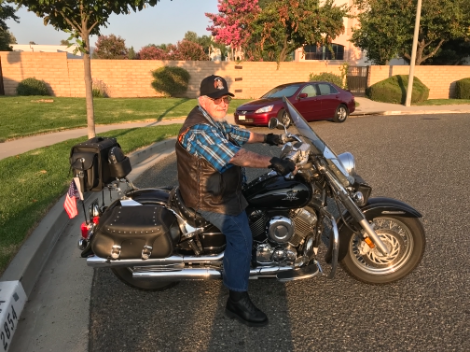 New member, live in Pleasanton and at 70 have decided it is time to use my love of riding for something other or in conjunction with my own pleasure. Four years in the Navy, 19 in law enforcement, and 16 teaching 2nd grade. 2nd grade was great but now I look forward to spending time with conversations that have complete sentences. I have been known to ride to LA or Reno for coffee, so hopefully I can show up where needed. Greetings, Thank you for allowing me to be a member of PGR. I would like to pay my respects to the real heros. Live in Anahiem area. Looking forward to doing my part whenever I can. 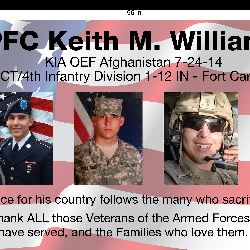 New Member, Gold Star Mom Debbie of PFC Keith M Williams KIA 7-24-2014 Age 19 and I have a special place in my heart for those who proudly hold the Flag and show respect to our Heroes and their Families. I work as a NP but will try to be available when I can. I don’t own or plan on getting a motorcycle, but I drive my sons “Freedom Isn’t Free” Truck which thanks Veterans and those actively serving. Hello, new to PGR here in Petaluma. Proud to be a new member and live in the San Jose area and do missions!!!! Hello everyone! Proud to be a new member here in San Diego, ready to do my part and support the PGR in any way I can. Honored to be a part of PGR, in the High Desert of Southern CA. Where are you in the High Desert? I live in Barstow and would like to reach out to others who are mature and respectful riders. Hello, I live in Barstow and the proud father, brother and son of Veterans. I am now honored to serve the active duty, retired and family members of the United States Army and would consider it a continued honor to support, through PGR, the final transition of the fallen Soldiers of our country. Hello everyone, I have recently moved to Moreno Valley from Vancouver WA. I was part of the Patriot Guard in Southwest Washington. I am Marine Corps Vet and am the proud father of a daughter and son in law that are both in the Air Force and a son that is in the Marine Corps. I want to continue serving my country by supporting the PGR and being a part honoring our fallen brothers and sisters. I am looking forward to participate in my first event/ride. Hello brothers and sisters…I’m Bill Ashley and have joined pgr national. I have riden on two missions from lax, when with the vet hunters mmc…we now are the deserted mmc and want to honor our fallen brothers and sisters, in the southern California area. Hello everyone, I’m Rick Wise from San Diego CA. I’m proud to be a part of PGR. 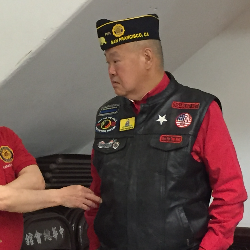 To my fellow brothers and sisters, I am member of HOG Golden Gate Chapter, American Legion Cathay Post 384, MOPH Chapter 15,Blue Knights Chapter VII, and DAV. I am in the Bay Area. I finally purchased my PGR items and ready standing tall for my brothers leaving to join Heaven’s Guard. I am unable to ride during May 11, 2019 to June 10/11, 2019 because I am riding in “Run For The Wall”. 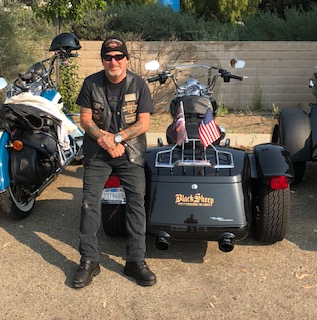 I started riding RFTW in 2018 and at the end of the ride I felt like I came home.For many years I was ashamed of my services in Vietnam War but now I am home and proud and sad for those on the Wall. See y’all on the road. Ride with Pride and Be Safe..